Johnson Mechanical Service is proud to serve the Minster community! 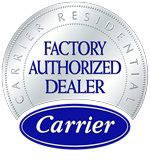 About Minster, OH - Happy to be your hometown Heating & Air Conditioning Contractor! Minster, Ohio is a village found within the Wapakoneta Micro Statistical Area. As of 2010, about 2,800 people called this community home. It is situated near the villages of Fort Loramie and New Bremen, and it is home to the world’s largest yogurt plant. This Danon facility employs over 400 people, and the Minster Machine Company also provides a wealth of jobs to the area. With many large, metropolitan areas located a short drive away, Minster is a great place to both live in and to visit. There are several things to do in and around Minster. There are a number of parks located within the village limits that offer volleyball, basketball, tennis, and baseball facilities. Lake Loramie State Park is found only a short bike ride away and offers camping, fishing, boating, and picnicking. In the winter, ice skating, ice fishing, and curling are especially popular. Other notable destinations include the F.J. Stallo Memorial Library and the Community Lanes Bowling Alley. Whether you reside in Minster or want to visit during the summer, it is important to know what to expect from the area’s weather. Summers in the area are hot with high humidity, which can make spending time outdoors difficult for people with chronic respiratory conditions. The right central air conditioning system at home will keep residents cool during the hottest days, and they’ll also work to improve indoor air quality. Once summer ends and autumn begins, Minster residents quickly begin to favor their gas or electric furnace over their air conditioner. Freezing temperatures and moderate snowfall are common in the area, and an energy efficient furnace will keep conditions comfortable while minimizing utility costs. However, it is important that Minster residents remember to have their systems serviced regularly by a trained HVAC technician to make sure they are running at optimal efficiency.